How much will I pay for an MRI in Massachusetts? On a high-deductible health plan this year? You are not alone! More and more employers are implementing these plans that put more of the responsibility to pay out-of-pocket for certain health care procedures onto the patient. As a health care provider, Shields is seeing a rise in inquiries around price for an MRI scan, which have a reputation for being a high-cost imaging procedure. The rise of consumer-driven plans over the past five years in particular has quickened and now that more patients are faced with having to pay out of pocket, they are turning to the providers to provide this information. The problem is that not many providers can do this very quickly or easily. 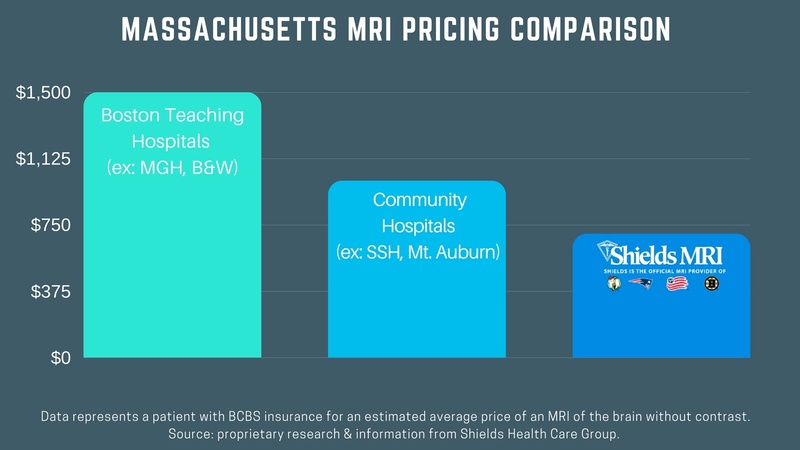 Shields MRI is the FIRST in Massachusetts to provide patients an online tool that will give them an EXACT out-of-pocket price based on their procedure & insurance type - even considering how much they've spent of their deductible so far. This unique tool is available on shields.com and takes an patient less than two minutes. Shields is known for the highest quality MRI and imaging services at a price that is as much as 60% lower than higher-priced hospitals. Find out how much you will pay for your MRI using the Shields price transparency tool.